Victoria downed 4-1 by Tri-City; club travels to Kennewick for Games 3 & 4. 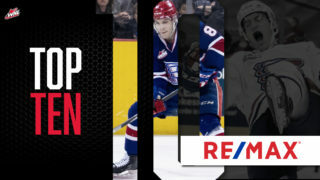 Man-Advantage Mania – With Victoria’s powerplay goal tonight, forward Dante Hannoun and defenceman Jared Freadrich both tied a pair of franchise playoffs records. 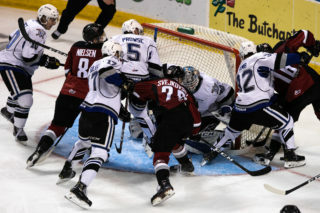 Hannoun’s tally was his seventh point (2g-5a) on the man-advantage this post-season that tied alumnus Jack Walker’s (3g-4a) mark that was set during the 2016 WHL Playoffs. 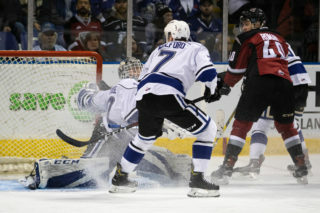 Freadrich (1g-4a) meanwhile, tied former Royal Travis Brown’s record of five points (1g-4a) for most playoff points by a defenceman on the powerplay achieved in the 2014 post-season. Start Strong – After tonight’s contest, the team who has scored the first goal of the game has earned a 8-1 record over Victoria’s opening two series this post-season. 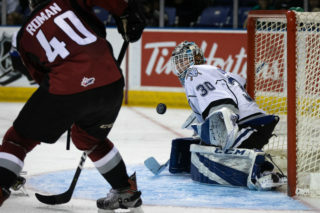 The lone exception was in Game 6 of Round 1 when Victoria won 4-3 in overtime versus the Vancouver Giants. 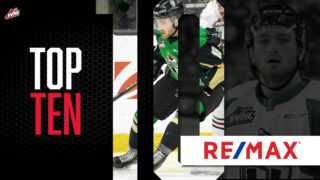 Home Cooking – If necessary Victoria will return home this Friday for Game 5 versus Tri-City with puck drop slated for 7:05 p.m. Tickets can be purchased in person at the Select Your Tickets box office, over the phone by calling 250-220-7777, or online at www.selectyourtickets.com. 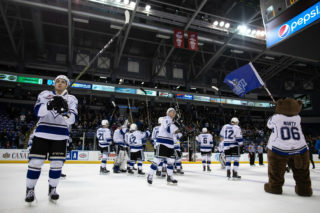 Twitter Handles – @victoriaroyals, @TCAmericans, @mattphillips_8, @hannoun19, @fready_98, @Travis_Brown5.